With drivers quitting Ola and Uber over falling incentives, the cab hailing platforms are struggling to match up to consumer demand, says a Redseer Consulting report. According to the research and advisory firm, while the number of registered cabs had peaked during December-January at 500,000, the following three months witnessed a decline of 20%, or less than 400,000. The report, however, did not give the exact numbers. This trend was largely attributed to falling incentives and a dip in driver incomes. “Drivers who left the online platforms either shifted to other (offline) driving jobs or changed professions entirely,” the report stated. The RedSeer report, State of the Online Cabs Market, went on to say that supply was expected to stabilise, as it was a short-term phenomenon seen in the first quarter of 2017. During the quarter, there was a registered 5% fall in cab bookings, which was preceded by an up to 45% decline in driver incomes. VCCircle had earlier reported that though the cab aggregators had faced a spate of issues leading to a dip in cab bookings, the two companies had retuned their focus towards profitability. Further, the rationalisation of incentives also led to better unit economics and the companies had described the slump in growth as a short-term phenomenon, with more users taking to the share-riding services of both Ola and Uber. 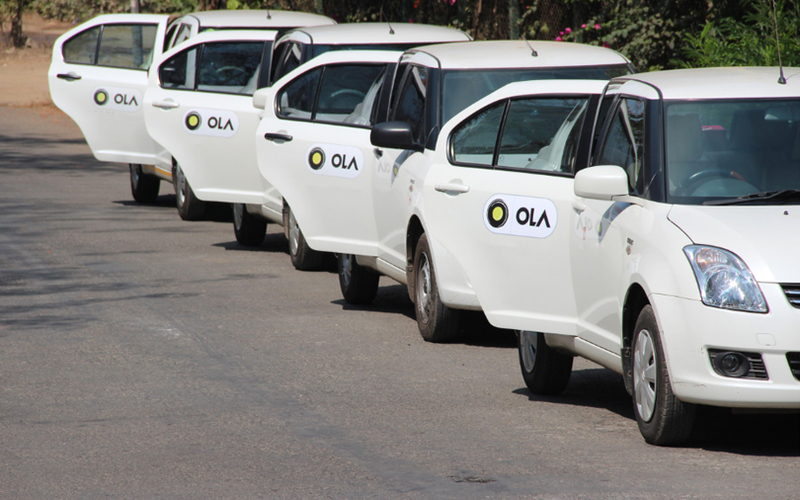 A Mint report, however, said that Ola and Uber had claimed to have about 5-6 million registered cabs, each, on their platforms.